Well this week started off in the 60’s while we were in VA visiting friends of ours and ended closing back in on 0 degrees. My sweaters sure are getting their wear this year! Outside of the weather, my week wasn’t too shabby. I got to visit friends, attend a great sample sale and see the Broadway Musical, Beauty and the Beast as they traveled through PA.
My sister, mother and I as we headed out to see Beauty and the Beast. We’re such suckers for musical’s, although I tend to sing much quieter than the two of them! Does anyone else take advantage of Panera’s baker’s dozen Tuesday’s? For $6.99 I stock up often. Well this sweet face sure changed my plans for Thursday. As I was on my way to drop my son off at pre-school, little Miss decided to get sick. All. Over. The. Car. For those that have been here (as I have more than I’d like to count), you know that this is the absolute worst thing you could see when you look in your rear-view mirror. You’re trapped in a car with no where to go and the smell, OH the smell (my apologies for those of you reading this over morning coffee or during your lunch break!). No better time for an early spring-cleaning scrub down! The poor thing was in shock not understanding what had just happened. I’m praying whatever it is passes quickly! My weekdays involve a lot of running around and as a result I’m always doing my best to dress comfortably. This is one outfit I’ve thrown on time and time again making slight variations. 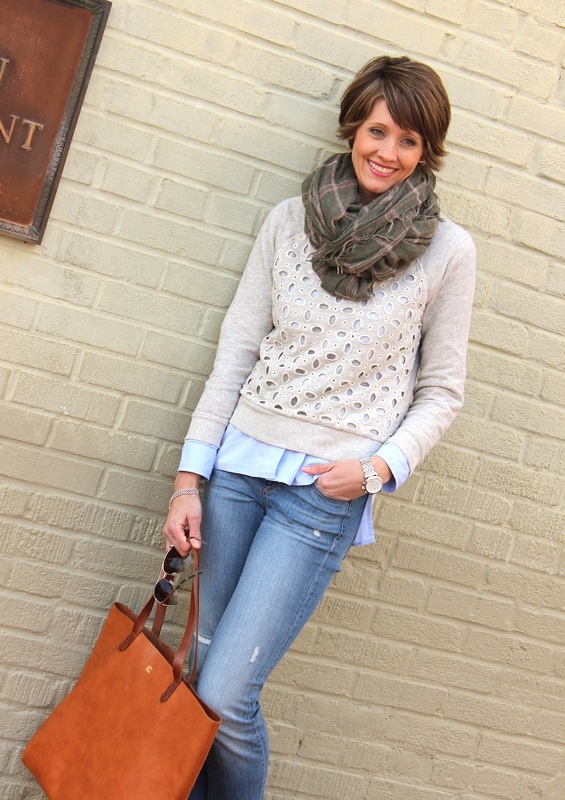 A detailed sweatshirt, jeans, a scarf, some booties and I’m set. Then there’s always my trusty tote. At any given time you can find crackers, water, a diaper, wipes and half a dozen random toys thrown in there, but who would know?! 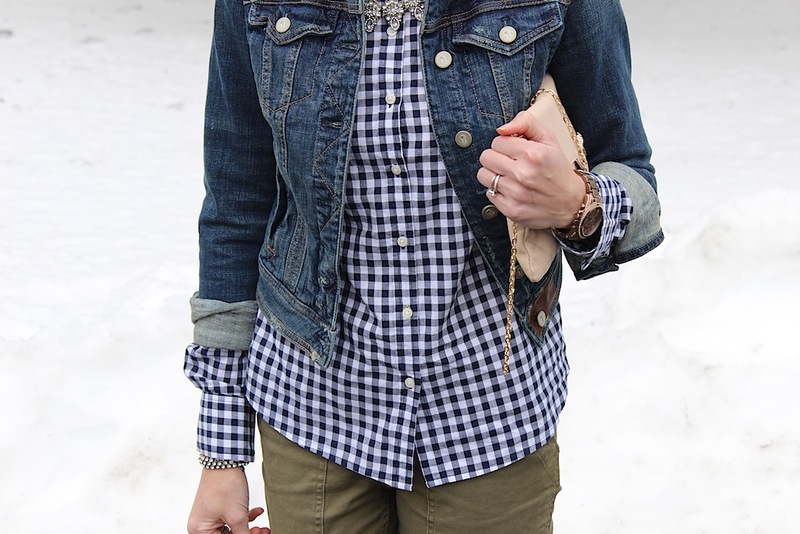 As much as I love dressing girly in pastels, jewels and bows, I also love taking a little inspiration from menswear. 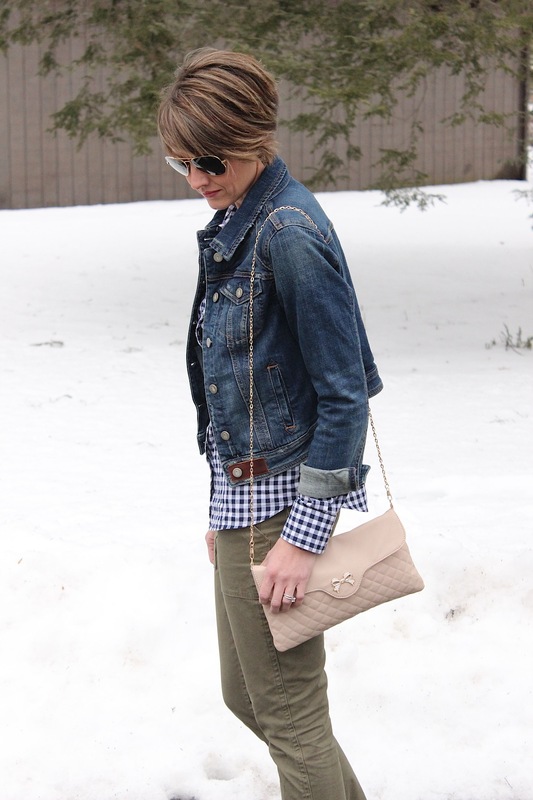 Denim, chinos and gingham can be found all through my husbands closet, yet I love the comfortable feel and look of this outfit on myself. What balanced the outfit out are the jewels and the chic bag which was gifted to me from my sister. I’ll let the little secret out that she picked it up at Cracker Barrel! You never know where you’re going find great pieces, so keep your eyes open! 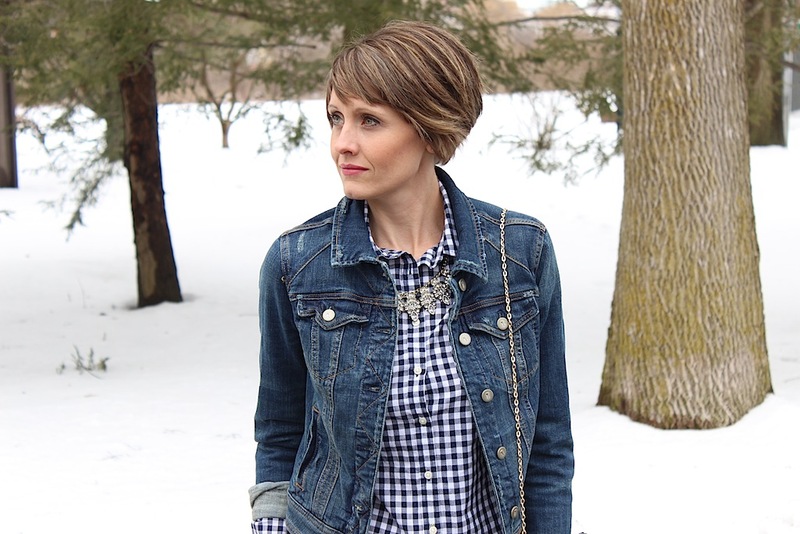 I had been on the hunt for the perfect denim jacket for years. Something about them always made me feel boxy or the color was wrong, so I turned them down time and time again. Then I found this one at Anthropologie a few months ago and was thrilled. It has a bit of stretch and a cut that is slightly raised in the back which gives it a great shape and keeps it from looking boxy. There is also a bit of leather detailing and the denim has the perfect amount of distressing. It was well worth the wait and now that warmer temps are (hopefully) not far off, I can’t wait to put it on regular rotation! Sorry (but not really) for over-wearing this necklace. It goes with SO much! 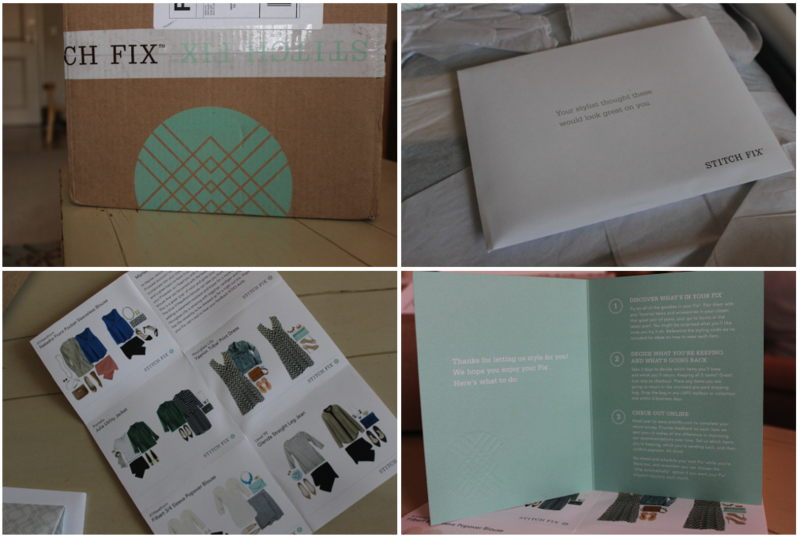 I mentioned a few weeks ago that I had placed my first order with Stitch Fix and was anxiously awaiting it’s arrival. My girlfriend has been using it for a while and I finally caved and placed an order. 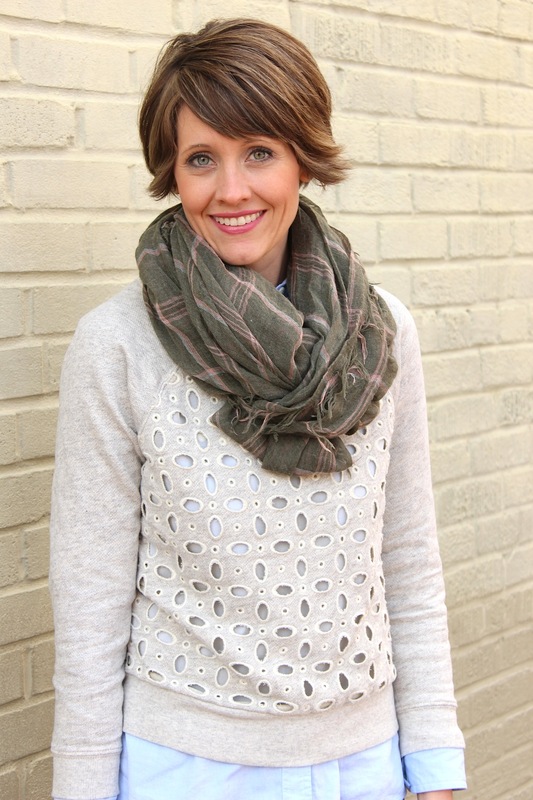 In case Stitch Fix is new to you, it’s a personal styling company who hand selects five items based on criteria you give them. 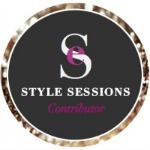 The more information you give, the better able your stylist will be able to make the best selections for your size, shape, style, budget and lifestyle. You pay a $20 styling fee, but that fee is applied to any of the items that you decide to keep. You choose the date for your delivery and have the option to schedule it as often as you’d like, or sign up for monthly deliveries. There aren’t any obligations. 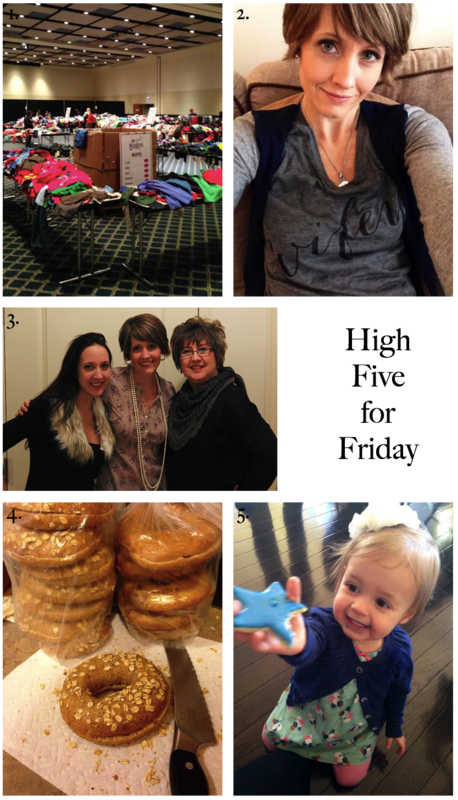 In case it wasn’t obvious, I love shopping, but central PA isn’t exactly a shopping mecca. Even when I did live in the city, my children often did a great job preventing any shopping from happening. And many of you with full-time jobs may absolutely love this idea (whether you enjoy shopping or not) because you get to shop right out of your home with clothing and accessories selected just for you. It really is a genius idea. In addition to the clothes, a styling card is sent with each item to give you ideas on how to put various looks together. The process is laid out very clearly, so there’s not much confusion to be had. I knew right off the bat that the colors on the dress weren’t going to be the best for me, but I was interested to try out the fit. And I don’t know if it’s only me, but I have a hard time ordering pants online. Every pair seems to fit differently and I can never tell unless I’m in the store with dozens of pairs to compare, so I was iffy about these. Overall, I was pleasantly surprised with everything. The sizing was right on point. To my surprise, the pants fit like a glove! I do have them on in these shots, although they’re rather hard to see. I loved the blue top. 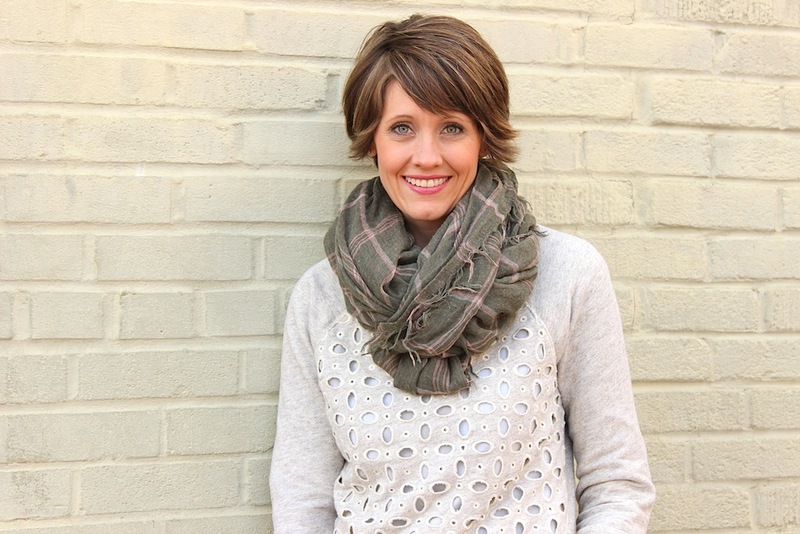 It’s a great year-round color and had a nice drapey fit. The jacket was a beautiful shade of green, but the fit wasn’t amazing on me. 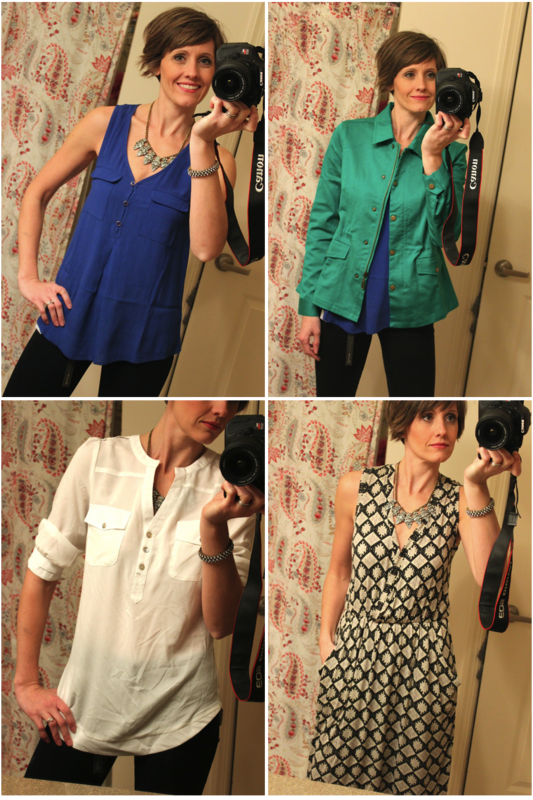 The white blouse was very pretty, but I had similar tops in my closet already. And the dress was so soft and comfortable! If only it had been in a different color/pattern I may have kept it. In the end, I decided to keep the pants. I would have kept the blue top as well, but it was priced just slightly higher than I was willing to pay for it. Also worth mentioning, is the fact that you receive 25% off of your total shipment if you decide to keep all five items. I definitely plan on placing another order, so maybe next time I’ll get to use that discount! For now, I can’t wait to wear my new pants! 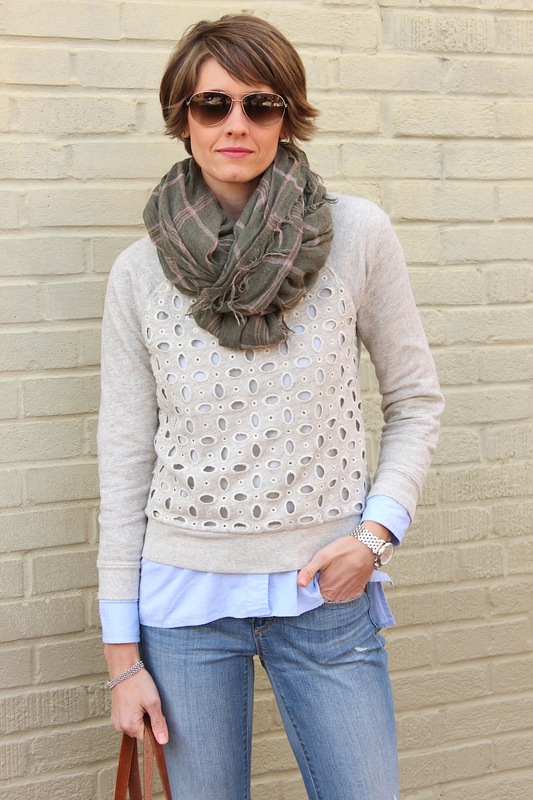 Check out Stitch Fix and have a look for yourself! Worst case scenario is that you’re out $20 which you’d potentially be spending on shipping from other stores anyway! If you do try it, let me know what you think, I’d love to hear! *This was not a sponsored post. I’m just happily spreading the word about a service I find beneficial! It’s Friday, and to me that means we are one more week closer to Spring! Honestly, I might as well have posted one big old snowflake image below because looking back on my week, that’s the majority of what went on around here. My son had off of school for President’s Day on Monday (at one point during the day he asked me when we were celebrating Obama), and then Tuesday and Wednesday were cancelled for snow/ice. We all went a bit stir-crazy, but we survived! We’re heading to VA for the day tomorrow to visit some dear friends (and celebrate my godson’s birthday) and the temp. is to reach near 60! That’s a nice little reward for making it through this past week, I’ll take it. Not only did my sister babysit so that my husband and I could enjoy a Valentine’s Day dinner out this past weekend, but she also brought me the sweetest gift. As you can see, she knows me well. 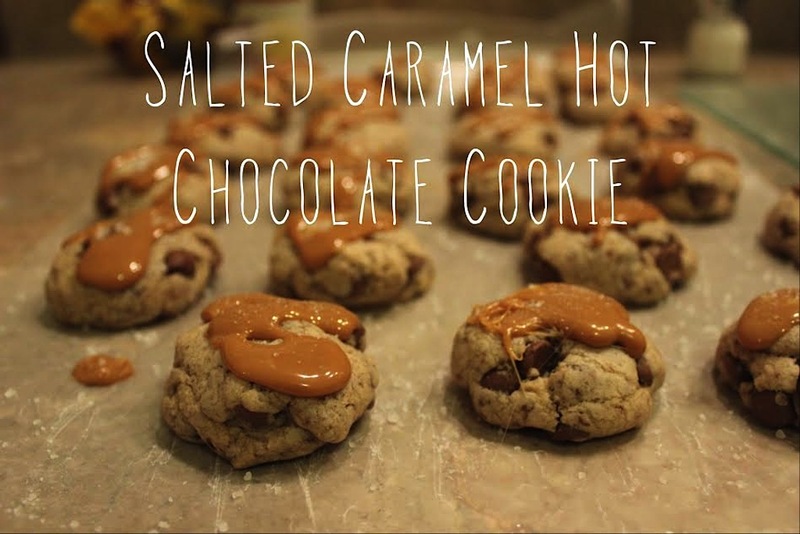 It’s not often that we enjoy dessert when we’re out to dinner. This is because we typically have the kids with us and as some of you know, time doesn’t allow for that when a toddler is involved! This chocolate peanut butter cake did not disappoint on our ‘adult only’ night out. With the snow and naps falling in alignment (yes, my 4yo still naps, don’t hate me, I have great sleepers! ), I found a little mid-day me-time. The dishes and the laundry can wait! I snuck this shot of my little ones watching Sesame Street together one afternoon. My daughter only gave me a few minutes of stillness, but I’ll take it. Now that I look at this, it appears that I had one calm and relaxing week, haha! Let it be known there were many games played, books read and melt-downs had. 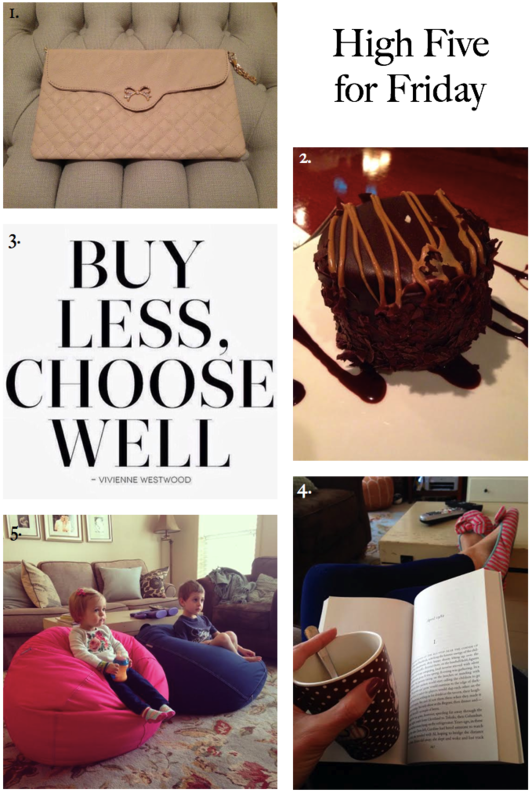 All in a weeks work ;) How was yours?! Linking up with The Lauren Elizabeth for High Five for Friday. 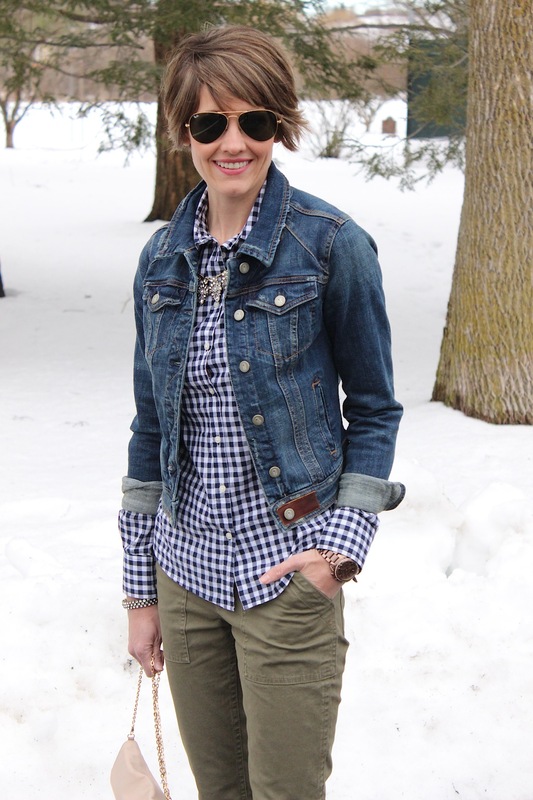 It may not be Spring yet, but I’m certainly getting excited to lose a few layers and update my wardrobe a bit. 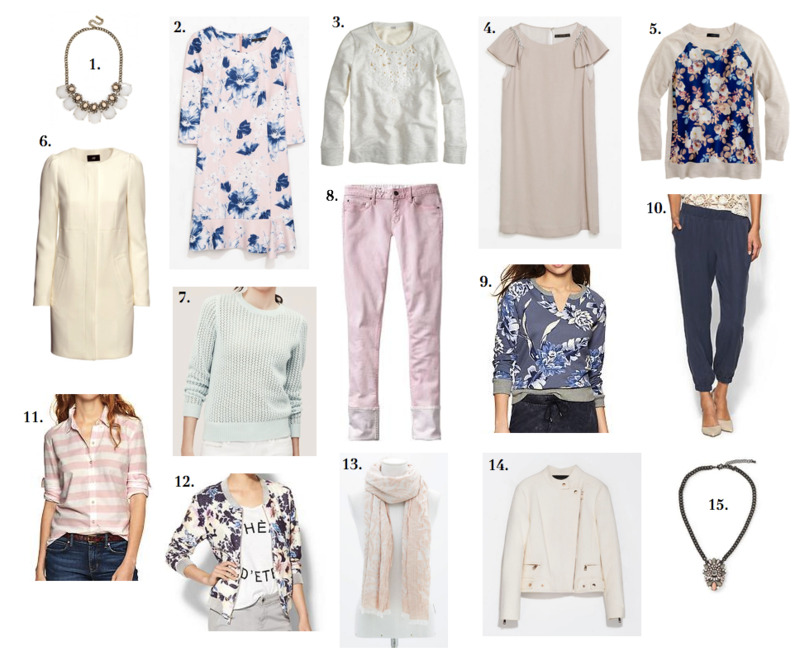 There are quite a few things trending for the upcoming season, two of my favorites being pastels and florals. Although they may be currently considered trends, what I love about them is that pastels and florals can never technically be out of style. Overalls are also coming back, but my guess is that trend will be much shorter lived. I can certainly picture a few people that can (and will) pull them off, but it probably won’t be me. What you could catch me in, would be any of the items seen below. Sweet, feminine and girly. Sign me up. So who else is on board with the pastel/florals this coming season? So what do you do with all those Instagram’s anyway? My husband and I make a good attempt at capturing memories on our higher-end camera, we really do. But if we’re being honest, the majority of my pictures typically come from my iphone. From there, the favorites find their way onto Instagram where they get some love and then move their way down the feed and into the abyss they go. In an attempt to prevent this from happening to you (and me), I have gathered a number of different ways in which you can bring your images to life. I’ve personally used a few of these sites and the other I plan on using now that I’ve discovered it! 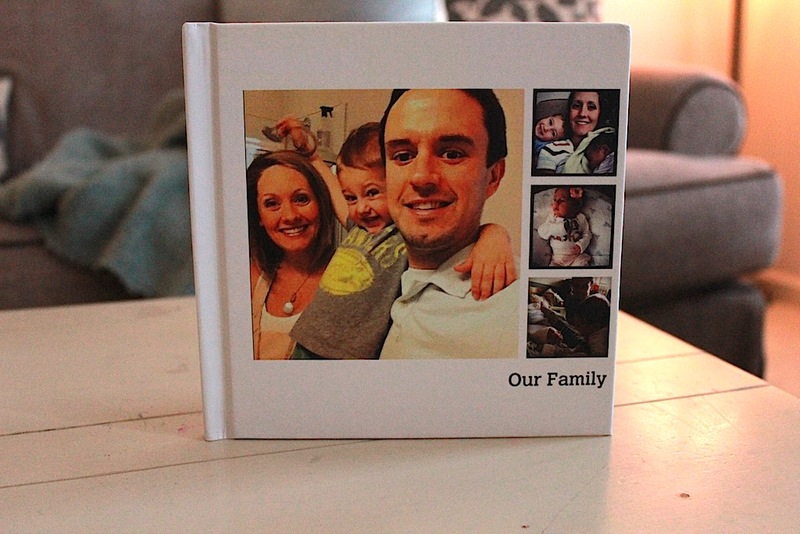 Blurb – My husband used this site to make the sweetest little book for our family. According to him, it was super simple to use and we all love the results. It’s something we keep in our living room and flip through often. Printstagram – This is another site that my husband used to surprise me on a special occasion (maybe he should be the one writing this post?). 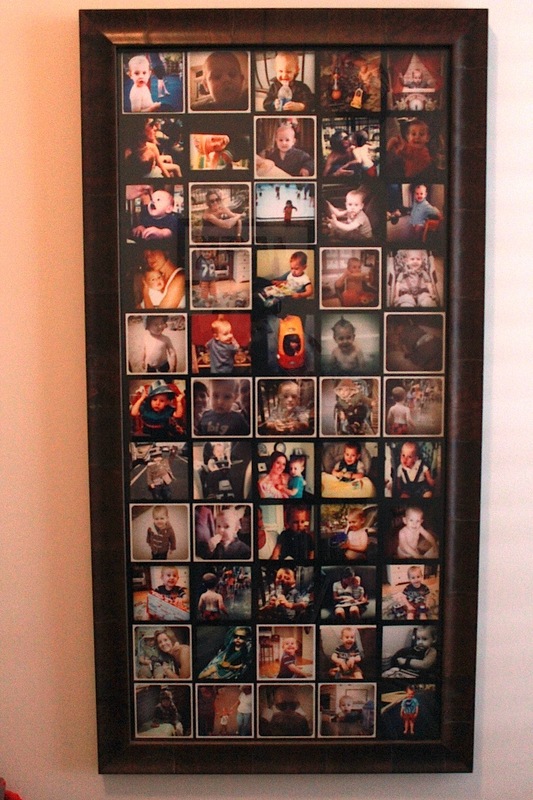 He ordered a super-sized print of dozens of Instagram pics of my son. Although you can order individual pictures (or calendars, cards etc), this is actually all on one large poster which he then had framed. We have it hanging in my son’s room and it makes quite a statement in there. 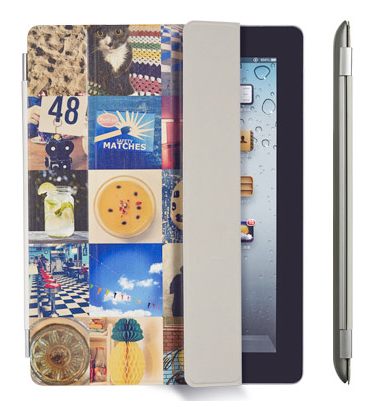 StickyGram – I have not personally used this site, but they allow you to turn your Instagram photos into magnets, iphone cases or ipad covers. Perfect ways to view your fav photos on a daily basis. 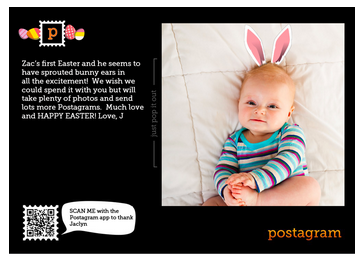 Postagram – This is a site we’ve used a few times in the past. It allows you to instantly turn a photo into a postcard which is mailed to the recipient of your choice. We’ve sent some randomly and also used them as thank you cards for our children’s birthdays. They were able to show the gifts they received in their photo and thank everyone individually. Are there any other ways you have found to bring Instagram to life? I’d love to know! 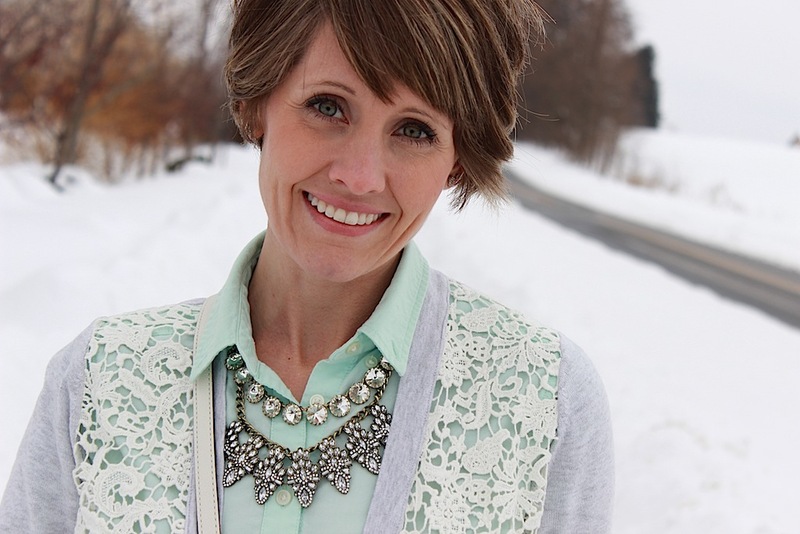 Mint + Lace + A VERY Lovely Giveaway! This is one stubborn winter, isn’t it? Since I haven’t been able to lighten my layers technically speaking, I’ve been trying to find ways to at least soften up my looks. 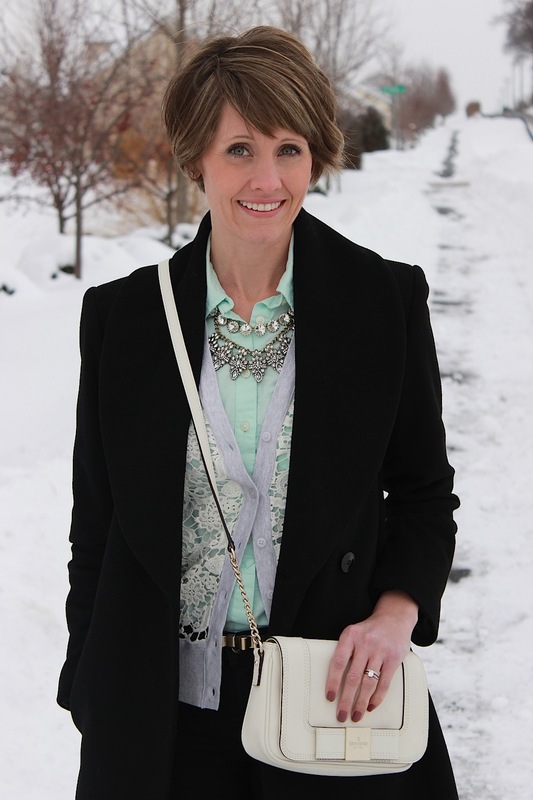 Today, for example, I’m wearing a lacy sweater over top of a pretty, mint colored button-up. 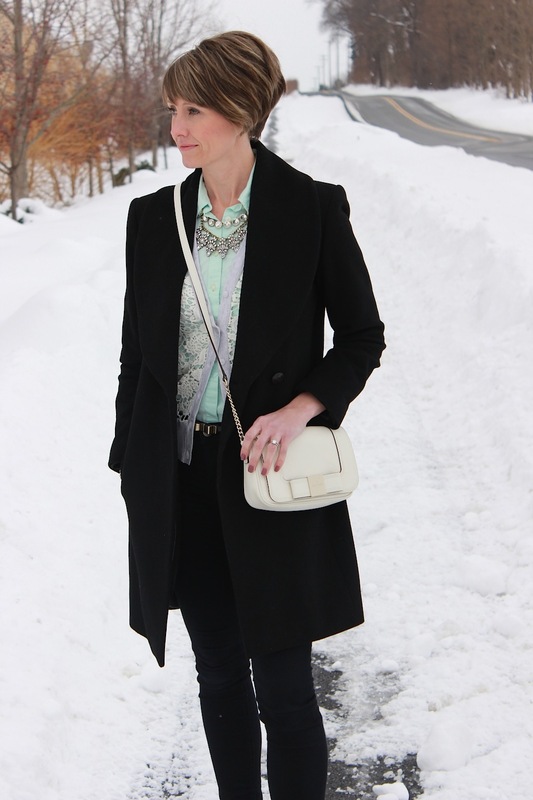 Pastels are apparently all the rage for this spring (yay! ), so it can’t hurt to start adding a few pieces to your wardrobe. Now, on to the fun stuff! 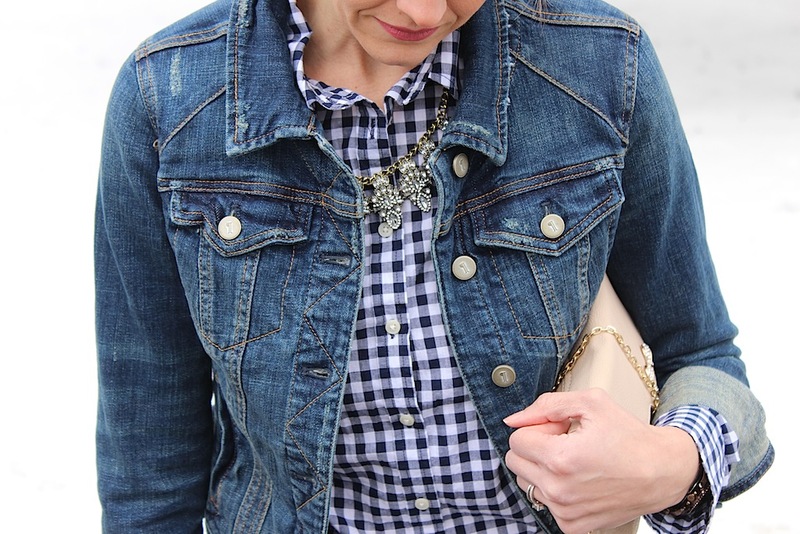 Today I am teaming up with some other bloggers to give away a $100 Nordstrom gift card! You know they offer free shipping and returns, right? So even if you don’t live near one you won’t be out any shipping fees, woo hoo! I think I’d be after a new pair of spring shoes! What would you get?! Enter below and good luck!! 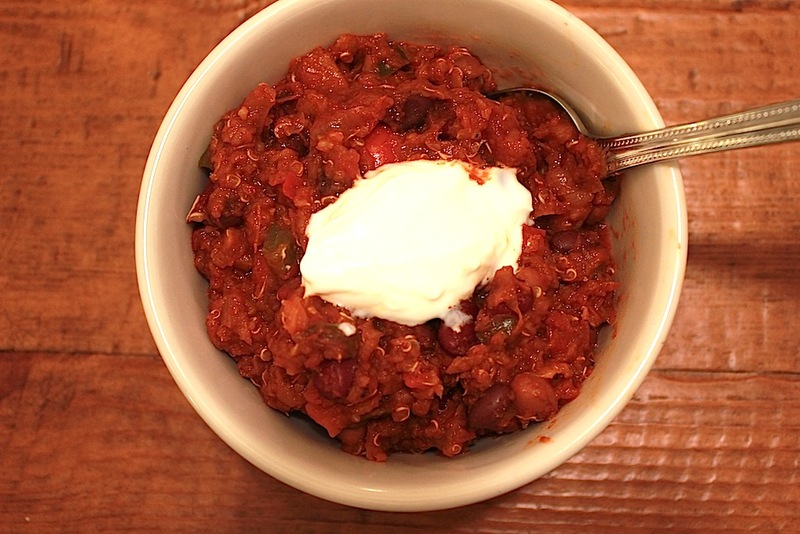 In an attempt to warm up this never-ending winter, I have a delicious and incredibly healthy chili recipe for you. 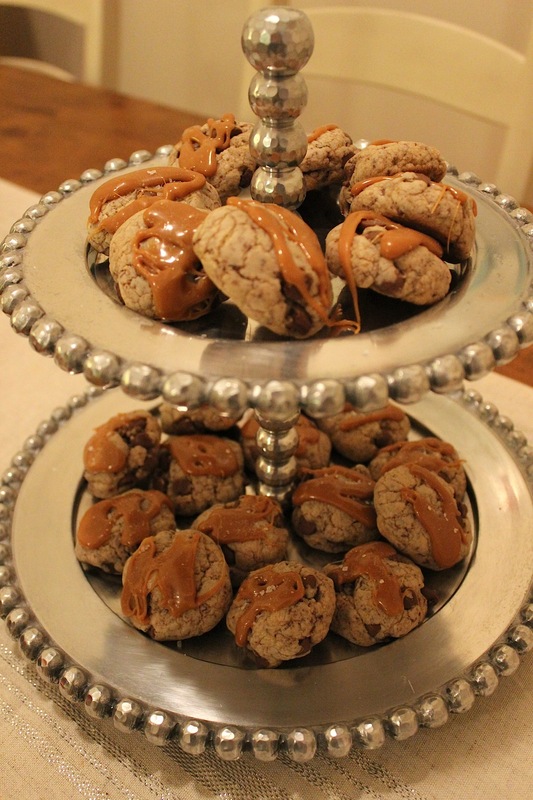 I first made this a few years ago at a cooking class in Hoboken, NJ taught by Lynda Layng, The Healthy Hoboken Girl. My girlfriend treated me for my birthday and we had such a fun night out! 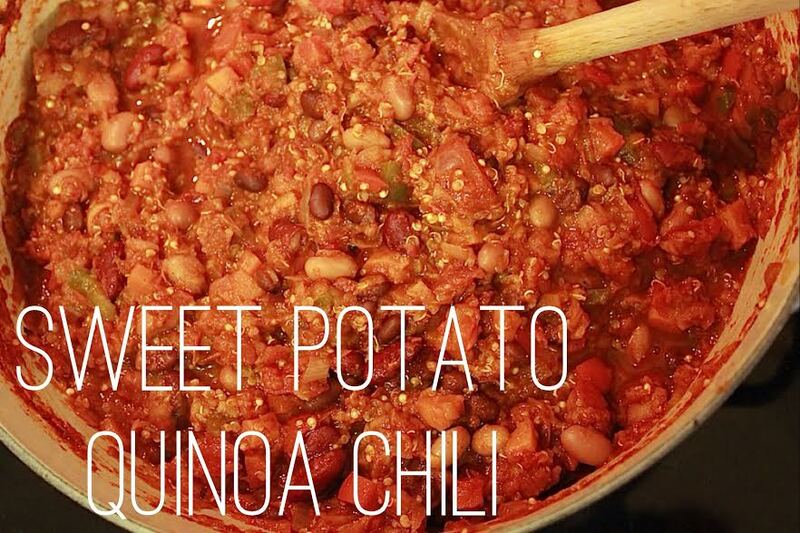 This particular version of chili uses a bunch of veggies including a shredded sweet potato that literally melts into the pot and adds wonderful flavor. 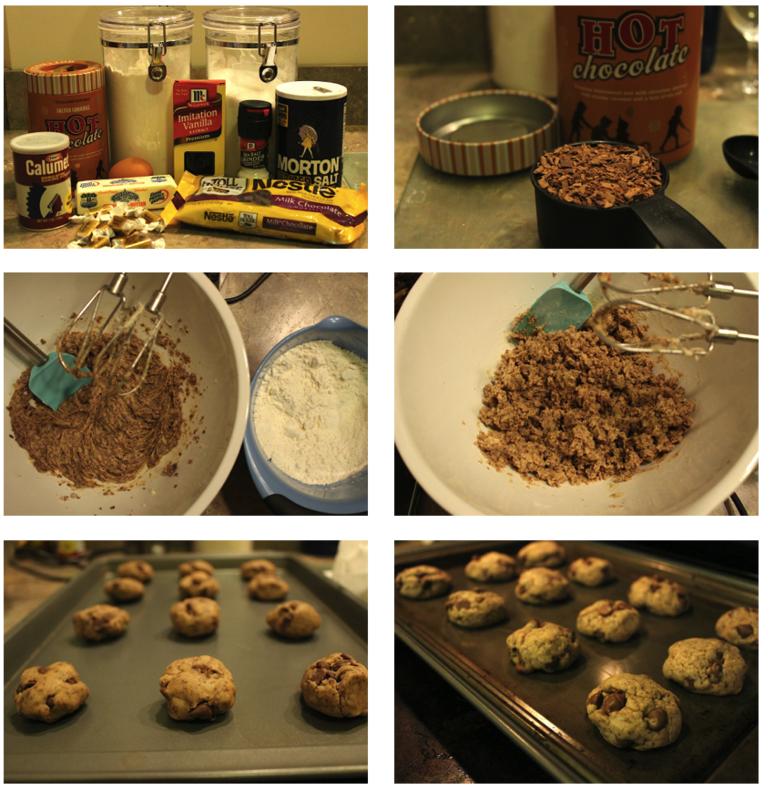 You can find the recipe here, and be sure to check out some of Lynda’s other recipes while you’re there. If you live in or around Hoboken, look Lynda up! Not only is she the sweetest lady, but she offers an array of services including private or group cooking classes, which is what we attended. 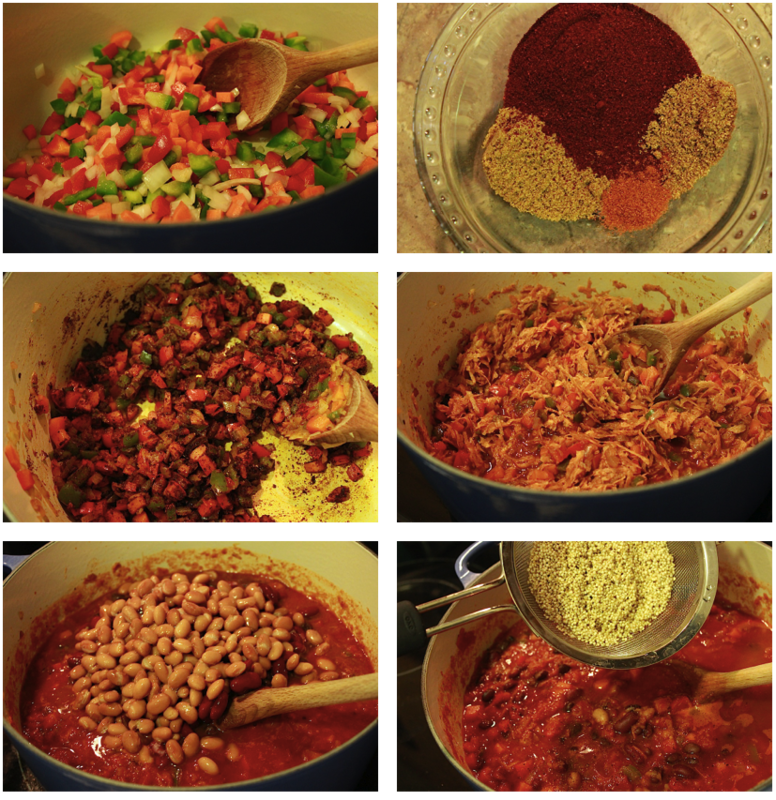 Healthy cooking not only benefits you, but your entire family. It’s worth it!